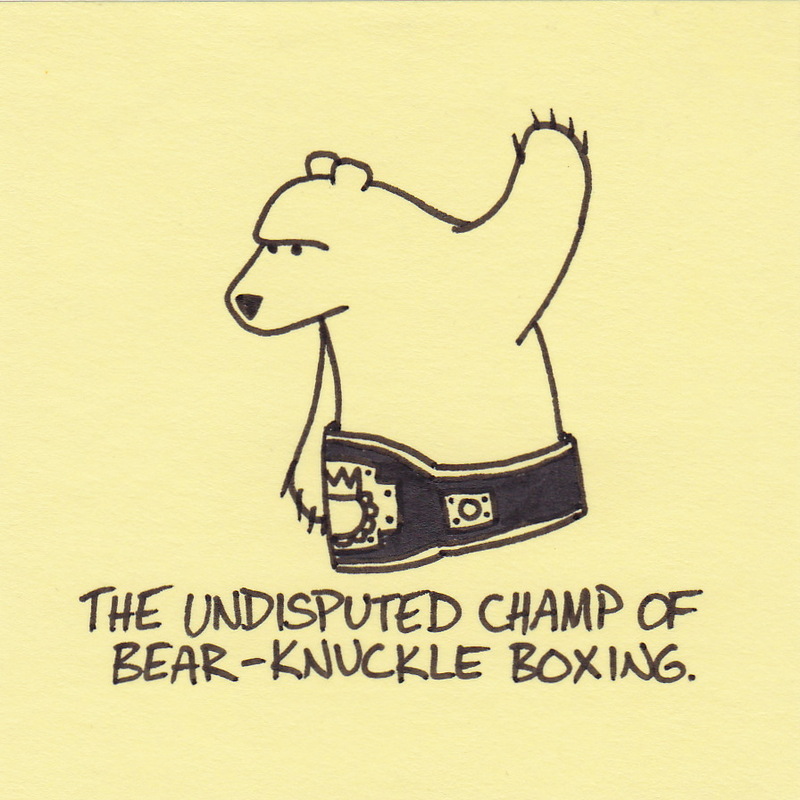 The undisputed champ of bear-knuckle boxing. Never startle the bears (loud noises, sudden movements, etc). Never carry food on your person or eat outside the food cabin. Never get fresh blood on your clothes or hands (from fish kills). Our second night in our tent, I was woken up by the sound of heavy breathing. It was very heavy breathing and it was coming from outside the tent. It was the sound of a curious bear who was repeatedly circling our tent. The huffing and snuffing continued for several minutes before I could muster the courage to wake my Father. I gently poked him and whispered what was happening. My Dad made a snorting noise (that sounded slightly louder than a grenade) and yelled, “there’s no bears here!” before rolling over – never actually having woken up. All noises outside the tent ceased. In the silence, the phrase “never startle the bears” blazed in my mind. I held my breath and waited for death. UNTIL THE SIDE OF THE TENT BULGED INWARD AS THE BEAR BUMPED AGAINST IT!!! At this point, I was desperately trying to think of why the bear was so interested in our tent. My mind was spinning in circles until it suddenly screeched to a halt with one thought – I had a Nutri-Grain wrapper in my pocket! Without thinking, I had stuffed it into my pocket when I had been eating in the food cabin. I had food on my person. It was rule number 2. I was breaking rule number 2! What did I do? First, I stuffed the wrapper as far down into my sleeping bag as possible and pulled the opening as tight around my neck as I could. Secondly, I panicked. In fact, I panicked so completely that my nose began to bleed. Nose bleeds = fresh blood. I had broken all three rules. All three! As I lay there silently pinching my nose with one hand and frantically clutching my sleeping bag tightly around my throat with the other, I wondered how long it would be before the end came. Obviously, the end didn’t come. The bear continued to circle the tent, bumping it every few passes for about an hour before finally moving off into the night. Despite breaking all three rules, I lived. Why? I can only assume that the 12 gallons of sweat I had released during the ordeal was enough to ruin even a bear’s appetite. 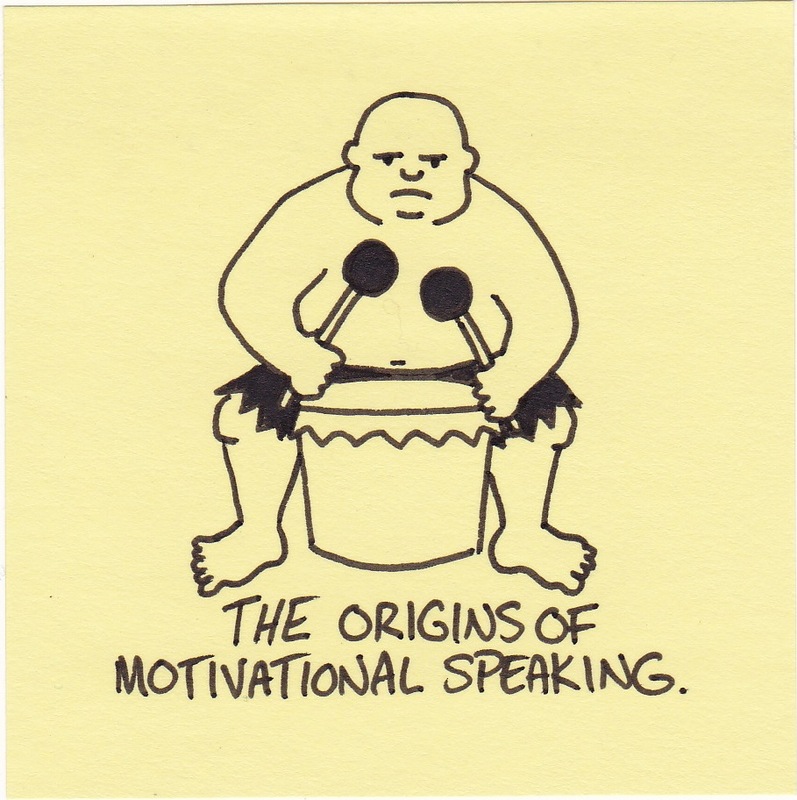 The origins of motivational speaking. Last week/weekend I spent a total of four days in a workshop. It was specifically related to my job, but also related to all aspects of life. It was an amazing experience and I absolutely loved it. The presenter was definitely a talented motivational speaker, but the pace and intensity made me think he must moonlight as a slave ship drummer. 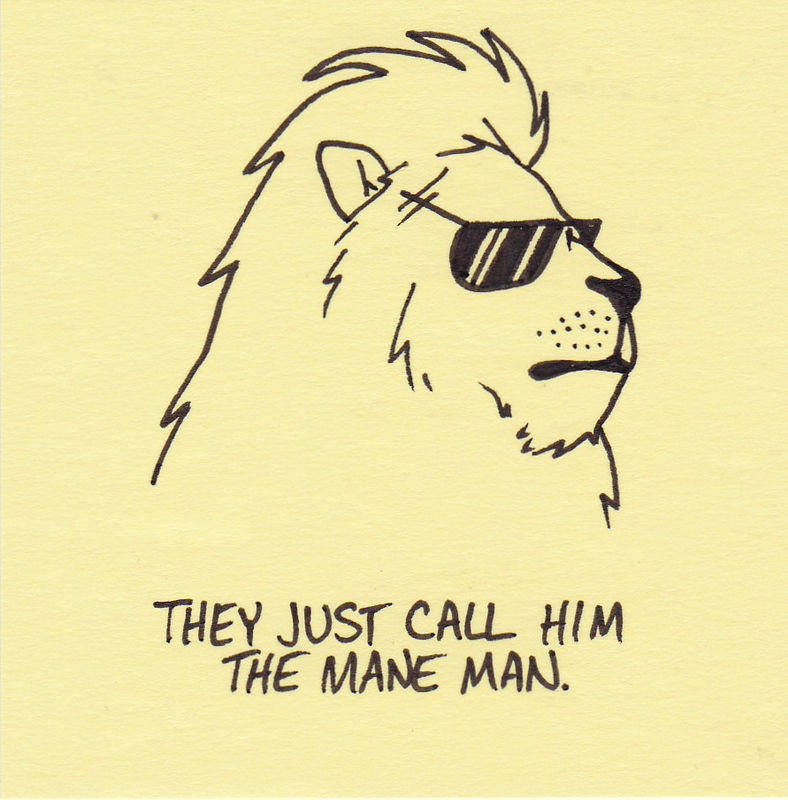 They just call him the mane man. In November, my wife noticed that my coat was looking worn out. She suggested I look for a new one. I nodded thoughtfully and made some noncommittal noises. In December, my zipper broke. My wife gave me a stack of catalogs so that I could choose a new coat. I nodded thoughtfully and made some noncommittal noises. 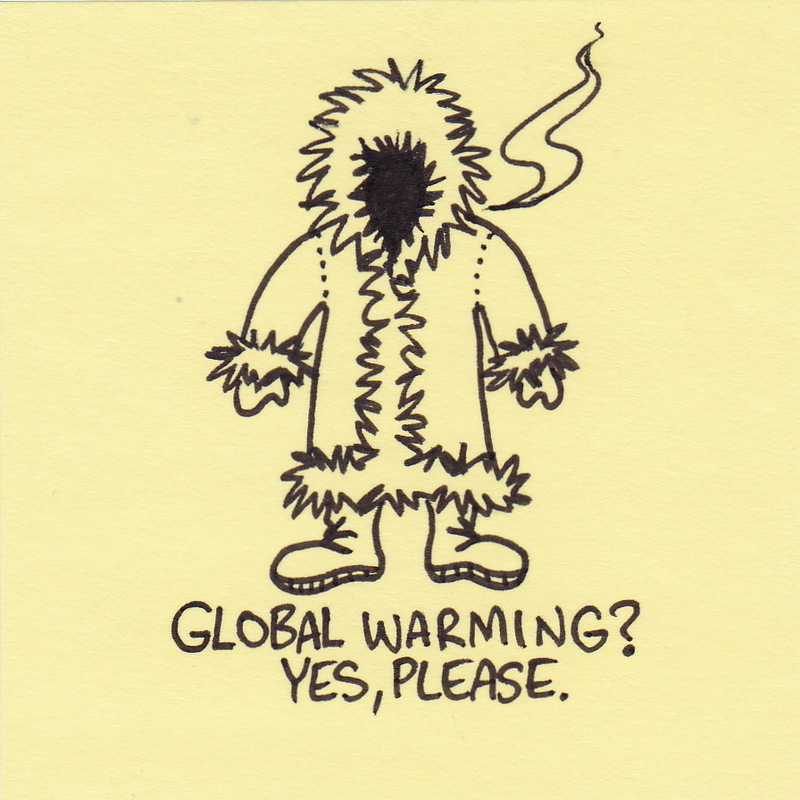 In January, the weather dipped to and held at -25 degrees in our area. My wife showed me a reasonably priced, high quality coat in one of the catalogs. I nodded thoughtfully and made some noncommittal noises. 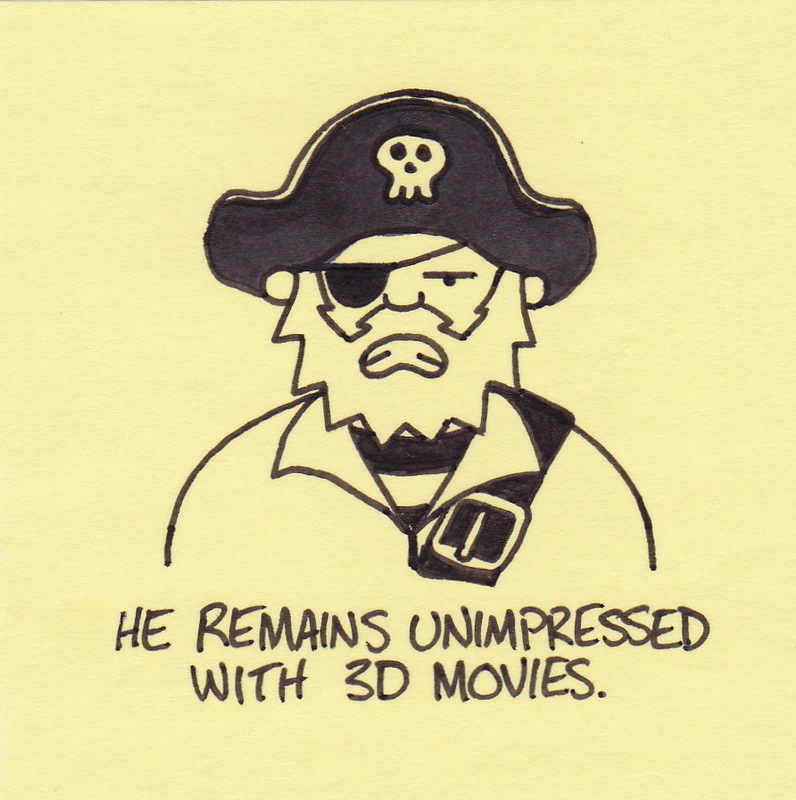 He remains unimpressed with 3D movies. Despite possessing both eyes, I also remain unimpressed with 3D movies. They’re nifty, but not nifty enough to justify $3.00 more. Then again, I might just be cheap. 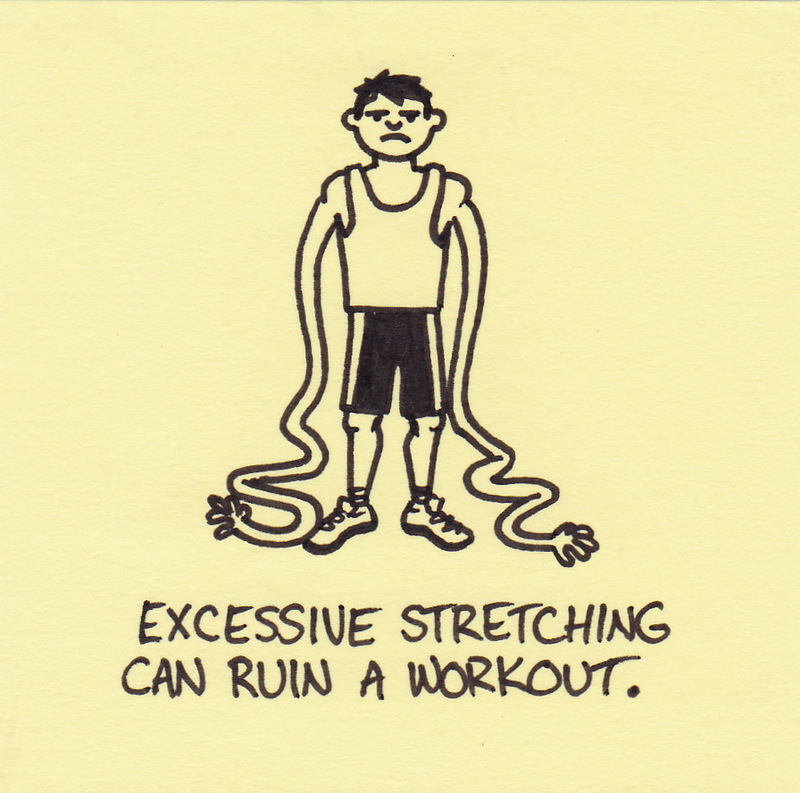 Excessive stretching can ruin a workout. My wife and I started a new workout regime. It includes yoga as one of the components. I have never tried yoga before. I wasn’t graceful. I wasn’t smooth. I wasn’t strong. I just looked like I was experiencing severe motor control issues. You are currently browsing the Inkjot blog archives for February, 2012.